Julie Geigle serves as a Divine channel for Archangel Metatron, an International Psychic Medium, Spiritual Counselor, Healer & Hemp Oil Advocate. 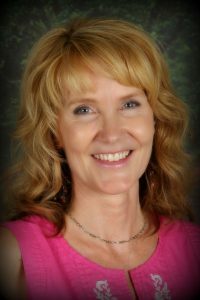 With a Masters in Education, Julie spent 10 years teaching middle school and is now honored to work with the spiritual realm assisting many on their path of awakening and enlightenment. She has studied mediumship at the renowned Arthur Findlay College in England and has visited Brazil's spiritual center for healing and enlightenment several times. She holds certification in hypnotherapy, meditation, Reiki and is an Ordained Minister. Ho’ponopono is her favorite healing technique. Ever wonder what it would be like to watch Julie trance channel Metatron? WATCH her trance channel on "Metatron Healing Energy Forecast" live on Youtube. WATCH her FB Live at Spiritual Psychic Medium Julie Geigle where she shares energy tips. "Lightworker's Academy" is a 12 week mentorship program assisting lightworker's and earth angels in anchoring in the new consciousness rising. "Manifesting Mastermind" is designed to help spiritual seekers remove blocks, raise their vibrational frequency and align with their Divine abundance. Julie is also a proud co-author of the #1 Amazon Best Seller “365 Days of Angel Prayers” and "111 Morning Meditations." In 2007 Julie opened Heaven Sent Healing located in Eau Claire, Wisconsin and she offers phone, skype, and in-person sessions specializing in business, romance & relationships + spiritual awakening. Join her private “INNER CIRCLE” for weekly healings and more. Are you looking for a mentor? Julie's "DIAMOND Mentorship Program" offers a private monthly energy forecast of your own guiding you on where your energy is best spent each month. Don't forget to stop by her website and pick up your free gift “Manifesting Miracles” to help you create the life you desire.